Is there a better alternative to eScan? Is eScan really the best app in Security category? Will eScan work good on macOS 10.13.4? 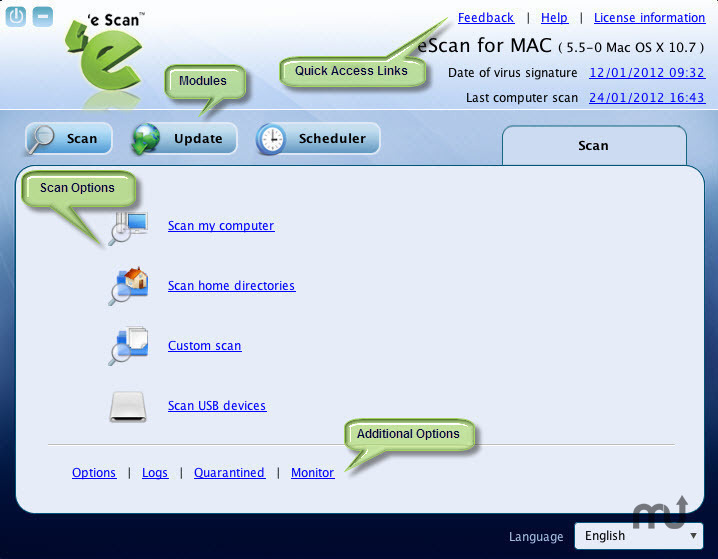 eScan Anti-Virus Security for Mac is a security solution designed exclusively for Apple Mac machines running Mac OS X, keeping in mind the drastically increasing cyber threats and the security needs required for their defense. It provides real-time protection to PCs based on Mac platform against Viruses, Spyware, Adware, Rootkits, Botnets, Keyloggers, and other security threats. Version 5.5: Release notes were unavailable when this listing was updated. eScan needs a rating. Be the first to rate this app and get the discussion started!